Ensemble Sequentia discusses their performance practice for the reconstructed first song of Boethius’ De consolatione philosophiae, Carmina qui quondam. Benjamin Bagby, director of Sequentia, discusses his performance practice in reconstructing songs from Boethius’ De consolatione philosophiae. 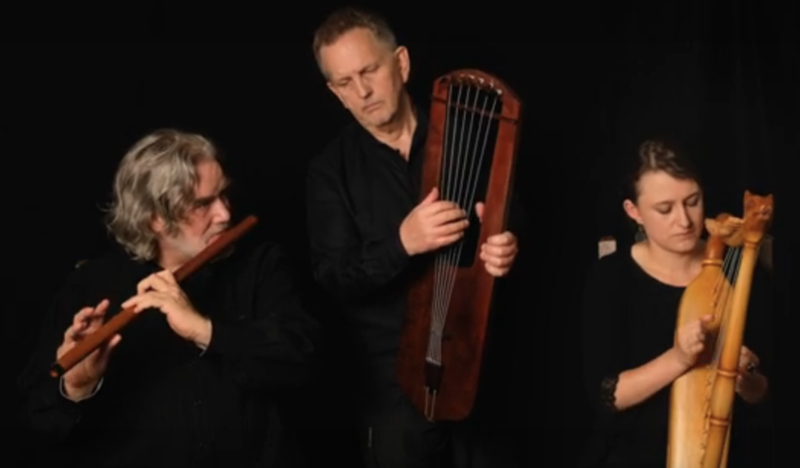 The video features a performance of Si quantas rapidis from book 2 with Hanna Marti. Hanna Marti, a member of Sequentia, discusses her performance practice in reconstructing lost songs from Boethius’ De consolatione philosophiae. The video features a performance of Quisquis composito from book one. Norbert Rodenkirchen, member of Sequentia, discusses his performance practice in reconstructing songs from Boethius’ De consolatione philosophiae. The video features a performance of O stelliferi conditor orbis from book 1 with Benjamin Bagby.